There are few sights more welcome in Northern Homes at this time of year than a plant blooming its ever-loving heart out. Christmas Cactus are selling at this time of year, but these store denizens are puny plants compared to the specimens gardeners have lovingly kept for years. Those might have hundreds of blossoms. 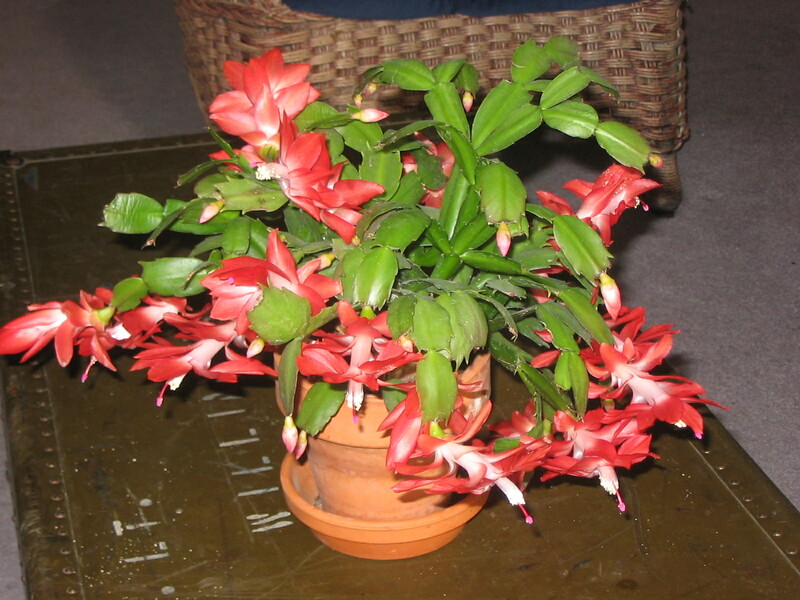 Schlumbergera hybrids are considered Christmas Cactus, or Thanksgiving Cactus. Usually they bloom in late November through December. Hybridizers aren’t crazy, they have been breeding these plants for decades now, and have achieved some remarkable results. Which is one reason to look over the store plants — they often have some of the newer hybrids. It is important to remember that while called cactus, these are epiphytic plants (like orchid cactus) that grow in tropical rainforests. They need well-draining soil as the pockets of debris they grow in do not retain moisture. Their roots are adapted to grab moisture quickly. If the roots are kept wet, they develop rot. On the other hand, they need watering more frequently than true cactus. Schlumbergera can be a problem to bring back into bloom. I take mine out in summer and keep them in a shady location. They are left outdoors until the temperature is steadily below 45 degrees. This almost guarantees bloom, for the two methods of bringing them into bloom are short day (more hours of darkness than light) treatment, or cold treatment. Here they get both naturally, and are often showing flower buds when I bring them in. In St. Charles, Missouri, it wasn’t always that easy. Isn’t it great to consider with all the snow and cold with which we have to put up, there is a rainforest plant perfect for our Northern windows?